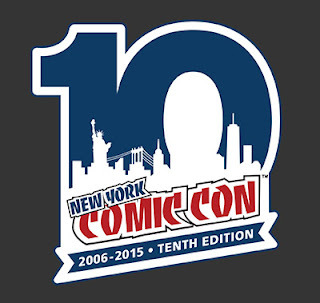 This was the 10th year of New York Comic Con and my 5th year attending. 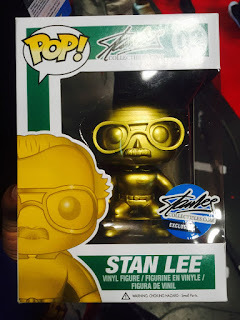 I was able to attend on Friday and check out what the convention had to offer. I had a plan of attack to pick up some exclusives and I must admit that I was successful. I was able to secure a Golden Stan Lee Pop Vinyl. I was also able to pick up the Loot Crate: Creepy. 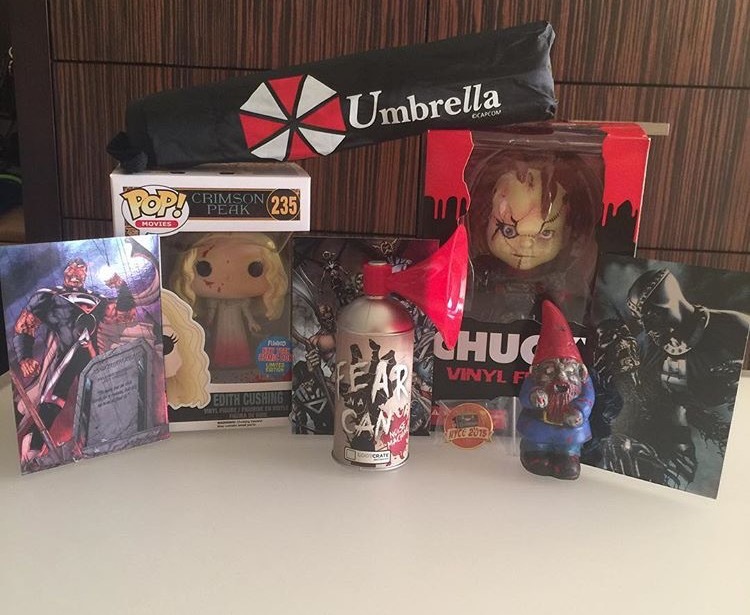 The crate included a vinyl Chucky, a creepy can that makes horror noises such as a witch's cackle, a zombie garden gnome, a umbrella from Umbrella Corp, Edith Cushing Pop Vinyl, Zombified DC Hero Cards, and a NYCC Loot Crate pin. This was a great crate and I am happy to add it to my collection. I enjoyed walking the floor and seeing what was there. I got to see my favorites like Brain Junk Tees, Akumu Ink, Tee Turtle, and B. Duck. There were a lot of random other things on the floor and even a big bus powered by Geico that had pinball machines on it. The floor was well organized but like always you have people who do not understand that you cannot randomly stop. I had people that followed me because they noticed that I was able to navigate through the crowd and frankly had no problem with pushing people out the way. 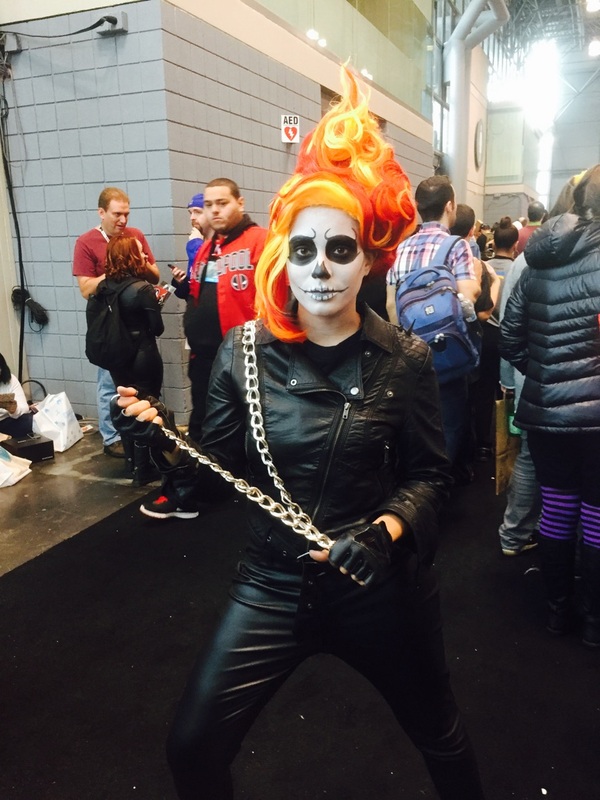 Female Ghost Rider was awesome! The Yo Kai Watch demo was great. They had an organized room and educated everyone on the aspects of the game. I am looking forward to the release of this game on November 6th. It is a great game that is finally coming to the west. I sat in on two panels. The first was the Once Upon a Time: An Evening with the Dark Swan Panel. The Panel included a viewing of the upcoming episode. Jennifer Morrison was present to share her thoughts on Emma turning dark. It was a very quick panel as 40 minutes was taken up by the episode so there was not a lot of talk but I enjoyed myself. The second panel was the Teen Wolf panel. I am a huge fan of the show and I did not realize that I would enjoy the panel so much, if I had known I would have went to the recent convention that was held in NJ. Oh well. Everyone on the panel provided great talk. The panel included Jeff Davis, Tyler Posey, JR Bourne, Dylan Sprayberry, and Cody Christian. 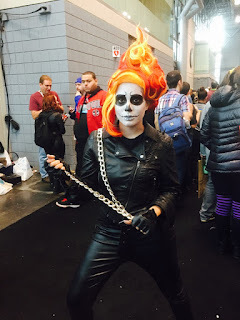 Overall I did enjoy my time at NYCC, I just wished for more panels to be excited about but that is okay, each year they appear to get better. I cannot wait to see what will be offered next year.